- Beautiful pic frames in all colors and shapes! - Choose photos from your gallery! - Take selfie pictures with your camera! - Cute text and life quotes on your beauty pictures! - Rotate, scale, zoom, unzoom or drag photos with the best selfie pic editor! - Sharing options for Facebook, Twitter, and Instagram! - More photo montage options coming soon! - Best photo booth app you could find! Get ready to have the best selfie on all social networks with Love Collage Photo Frames free app for Android™! This is a perfect selfie picture editor that makes all your pictures look fabulous in a second. Also, this amazing photo manipulation app will add special effects, filters, cute text and life quotes so that all your images will look amazingly beautiful. Wrap your insta photos like a pro with our brand new image processing app! Make your selfie pics look glamorous and luxurious with fancy camera effects, "picture frames", and photo grids! Stitch your insta pics with glamorous grids and collage templates. This elegant photo editor with font will give you a chance to montage photos in a luxurious way. Love Collage Photo Frames is a picture decorator suitable for both kids and adults. Take your time to explore various photo warp options that this image editing app offers. Awesome camera effects, insta selfie collages, luxurious "pic frames" are waiting only for you! Get Love Collage Photo Frames, a useful and totally free app that will add beautylish effects to your love pictures! 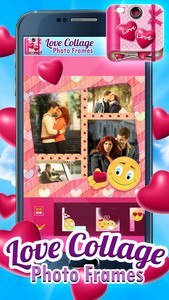 Be your own picture editor pro, choose from a variety of wonderful love frames for pictures and adjust them to get the best selfie pics! 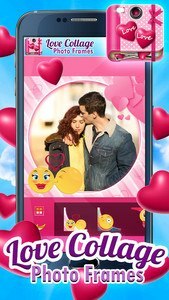 Try out new love "photo frames" for couples from this collection that will intensify your feelings towards the love of your life and can be perfect as wedding picture frames, Valentine's day or any other occasion. Add some new life to your old pictures! Use cute frames to make your pics look fresh and beautiful. Enjoy the photofunia! This amazing beauty photo wrap app has a lot to offer, you just have to download it and try out all image editing options. Therefore, get ready for amazing beautification experience in our picslab. Post your edited fotos to Facebook, Instagram and Twitter and become the most popular pic editor. Create some cool retro pics with this amazing beauty plus camera app. We guarantee you that your pictures will look very stylish and vintage, and that they will bring you numerous likes from all your friends. We offer you a great collection of photo templates with cutie text, image layouts, stickers and much more. Choose your favorite selfies and beautify them by adding beauty plus filters and effects - black and white, sepia, vintique, and retro. Forget about photo warp options and enhancements for a while. 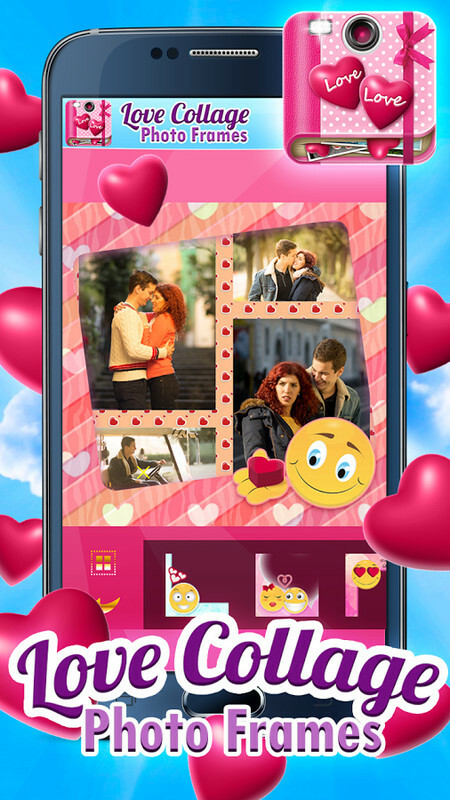 Download Love Collage Photo Frames and take your time to explore various picture montage options and awesome camera effects. Insta selfie templates and lovely pic frames are waiting only for you! Get a cool collage maker with effects, enter our pic lab and experience the coolest photo editing ever! If you are a fan of hd "photo editing software" without internet, you will become best friends with our piclab app. Download this pic decorator free and let the photofunia begin!